Pigment grafting has interested me since the first time my mind processed the concept. 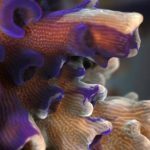 The theory basically involves the transfer of a pigment from one coral to another of the same species. 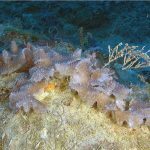 The image above is a Echinophyllia aspera that was growing in close proximity to a blue colored coral of the same genus and species. When the two specimens were allowed to touch, the red variety picked up pigments from the blue specimen and the graft appeared. 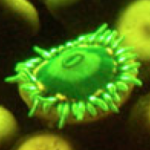 Interesting enough in itself, the process continued through the growth of this coral as I observed over a three year period. The pigments are now very noticeable at the edge they began at and are beginning to show up in other areas as tiny blotches of contrasting color. 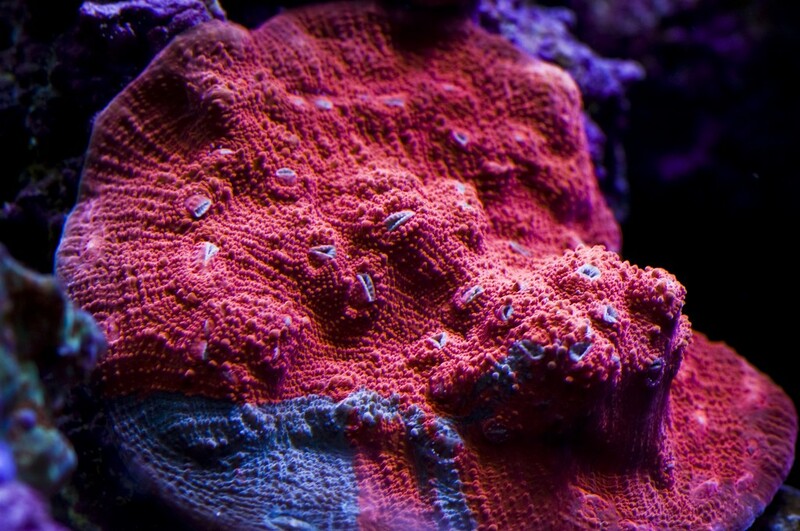 It is believed that the color transfer involves zooxanthellae and thraustochytrids moving from one animal to another. 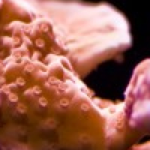 Pigment Grafting in stony corals? 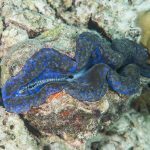 Reefs Illuminated – Opens This Weekend!